The first of four electric car charging stations along U.S. Highway 95 between Las Vegas and Reno has opened and sites have been identified for the other three. 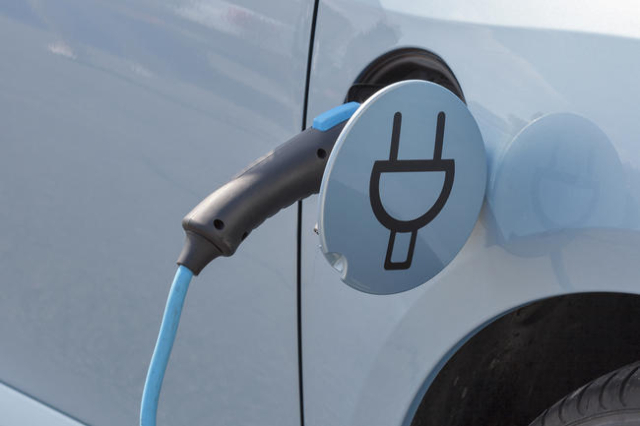 The state Transportation Board received an update Monday on the Nevada Electric Highway project, a joint effort by the state’s Energy Office and NV Energy to develop electric car charging stations on the 448-mile route linking Southern Nevada with Northern Nevada’s largest city. The cost of installation is being split between the utility and grants offered by the state. Electric car drivers will be able to charge their batteries for free for the first five years of the program. There are about 1,400 electric cars registered in Nevada. Angela Dykema, director of the Governor’s Office of Energy, said the installation of a charging station in Beatty was completed Thursday. The federal Department of Energy in December gave environmental approvals to the station at the Stagecoach Eddie World gasoline station on the north end of Beatty. The Beatty site is being managed by the Valley Electric Association as NV Energy does not serve the area. Valley Electric received a $15,000 grant through the state Energy Office to build its station. Charging station sites also have been identified in Fallon, Hawthorne and Tonopah, which are in NV Energy’s service area. Gov. Brian Sandoval announced the Nevada Electric Highway initiative in the summer and since then, the Office of Energy has worked to identify businesses and government entities that could host a charging station with a direct-current fast charger that could charge a vehicle battery in less than an hour and two Level 2 chargers that require several hours to charge. The Energy Office estimated the cost of equipping a charging station at $40,000. Under terms of the charging station agreement, the Energy Office has developed a five-year program to offset any host-site electricity demand charges associated with the fast chargers. Businesses along the route have shown some reluctance to host charging stations because they’d be required to provide 24-hour access to them. Board members encouraged the Energy Office to move forward with the program and use rest areas or state parks for future installations. Dykema told board members her office has identified Fox Peak Station, a 24-hour convenience store and smoke shop on the east side of Fallon, Lady Bird Park in northwest Hawthorne and Miller’s Rest Area, about 10 miles west of Tonopah, for stations. The three stations at Fallon, Hawthorne and Tonopah are expected to be open by summer. Valley Electric committed to developing the charging station when Sandoval first announced the program. Rural communities view having the charging stations as a tourism booster since charging stations are so scarce. There are about 100 public charging stations, some with fast-charging technology, in the Las Vegas Valley according to the plugshare.com website. The Nevada Electric Highway project, believed to be the first of its kind in the nation for rural areas, used the U.S. 95 route as a first phase of a two-phase program to provide charging stations on important rural Nevada highways. The Energy Office and the Department of Transportation plan to collaborate on Phase 2, which would include the development of charging stations along U.S. Highway 93 from Las Vegas to Wells; state Route 318 from north of Alamo to Ely; U.S. Highway 50 from Fernley to Ely; and Interstate 80 from Fernley to the Utah state line at Wendover. Officials envision NV Energy developing five I-80 stations at Fernley, Lovelock, Winnemucca, Battle Mountain and Elko; one on U.S. 50 at Austin; and one on U.S. 93 at the highway’s junction with Interstate 15. The Wells Rural Electric Co. would develop a station at Wendover; Mount Wheeler Power would develop at Eureka and Ely; and Lincoln County Power would develop at Alamo and Pioche. The Department of Transportation would develop sites on U.S. 93 at the Crystal Spring Rest Area, the Pony Springs Rest Area, the Schellbourne Rest Area and at Ely. 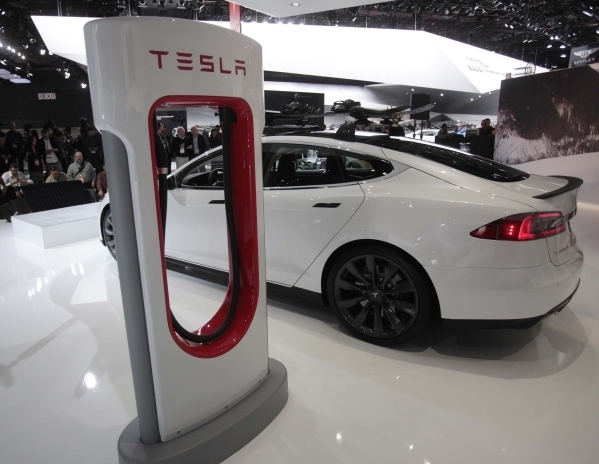 State officials also are working with Tesla to develop charging stations. Those vehicles have charging systems that are different from most electric cars.